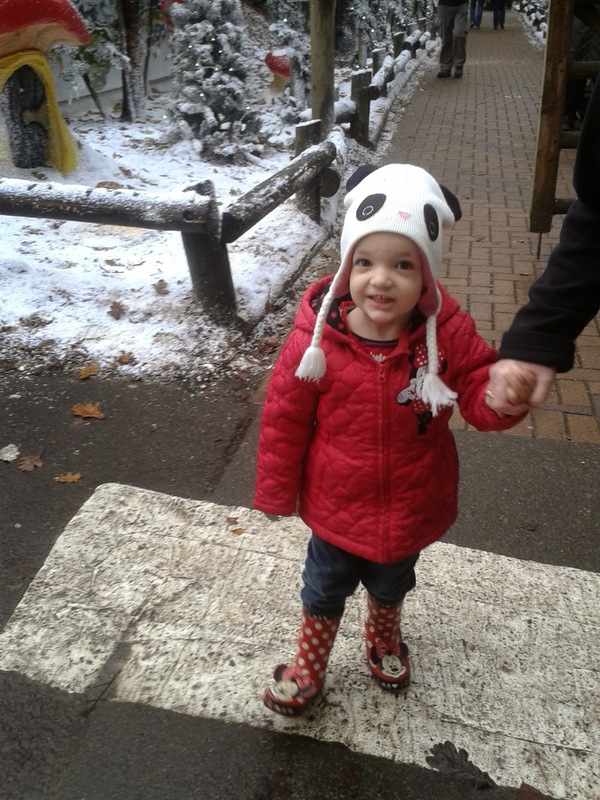 We were recently selected to be part of the Center Parcs Family Blogger Club. We decided to visit the Sherwood Forest resort and make it a true family occasion by taking both my parents and mother in law along with us. We wanted to share the festivities with them so that they could experience the magic with the children. When we arrived we were greeted by Santa Claus and snow. As soon as we entered we were all immediately filled with the Christmas spirit. We collected our bikes from the cycle hire and we went to discover our lodge for the weekend. If you visit Center Parcs I would definitely recommend that you either hire bikes or take your own with you. We love being able to cycle around the resort as a family, enjoying the fresh air and serene surroundings. Cycling is all part of the Center Parcs experience! We stayed in a Woodland Lodge which is perfect for families. We arrived to a lovely welcome pack and greeting on the chalk board. The staff at Center Parcs simply cannot do enough to help. On our way to the resort we realised that we had forgotten to bring the twins bed guards. 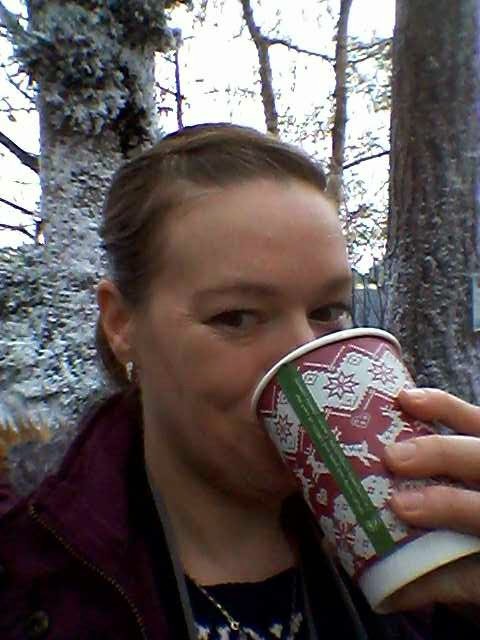 But this was no problem as Center Parcs had some on site. The staff quickly brought two up to our lodge. off from everything and truly relax. After we got settled in we headed down to the Village Square for an evening meal at Rajinda Pradesh. The Village Square is at the heart of the complex. It is the centre where you find restaurants, shops, a bowling alley and the Subtropical Swimming Paradise. While at the resort you know that there are a lot of people about but as it is such a large place you simply do not see many people until you go up to the Village Square. On Saturday we had a busy day doing Christmas activities. Center Parcs run an extensive range of activities for the whole family ranging from action challenge to nature activities, from indoor to outdoor activities, from creche facilities to the Aqua Sana Spa. There is something for everyone. The Christmas activities were all filled with such magic for the children. On Saturday morning we headed for Santa's Woodland Workshop. The walkway leading down to Santa's Grotto was lined with snow covered huts containing different Christmas scenes. Throughout our stay Taylor wanted to visit the owl every single time we passed the area. It certainly builds up the excitement for the children as you get closer to the Woodland Workshop. As we approached Santa's Woodland Workshop the sound of Christmas music got louder and we spotted some reindeer and the sign pointing us in the right direction. This was the twins first visit to see Santa so we really were not sure what their reaction would be but as we approached the door they got more and more excited. As we entered the workshop the children loved the music playing and seeing all of the toys. Right until the second that they saw Santa the twins were excited however when we got in there they both froze. However we did manage to tell Santa what was on their Christmas lists and with some chocolate we managed to get out first family picture with Santa. Once we had said our goodbyes to Santa we walked along a snow laden path and into a festive area with music playing, the biggest Christmas tree that I have ever seen, a festive carriage ride, mulled wine, hot chocolate and roasted chestnuts. It was the perfect start to the Christmas season. 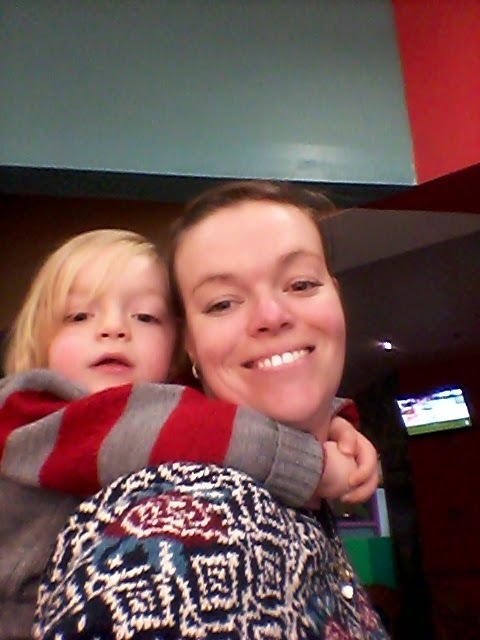 After all of the excitement of seeing Santa we cycled down to Jardin Des Sports for some lunch in the Sports Cafe. The Sports Cafe is a relaxed bar and restaurant which is surrounded by an indoor sports area, arcade machines, bowling alley, children's soft play area and a terrace and outdoor play area. In the afternoon we decided to do the Twelve Days Of Christmas Treasure Hunt. We were given a clue and were sent on a hunt to find 9 letters which would help us to solve the Christmas anagram. We are quite competitive and quickly cycled off on our mission! After cycling all over the park we finally found the letters and solved the anagram which was "reindeers". We quickly cycled back to the Jardin Des Sports and were over the moon to find out that we were the first family back! As our prize we all got Center Parcs Treasure Trail t-shirts. Needless to say we were all exhausted once we had finished but on we rode up to the Foresters' Country Club for a much needed drink. The ride up to Foresters' is so pretty. The cycle path takes you up round the lake and you get a perfect view of the calm water and the Pancake House. We arrived at Foresters' Inn with sleepy twins in the trailer. However they quickly woke up when we mentioned milkshakes! Foresters' do the most amazing milkshakes and we went the specifically for them. The three children enjoyed their milkshakes while we rested our tired legs. The decor is beautifully done at Foresters' with stunning black and white shots on the walls, quotes stencilled around and logs ready for an open fire. On the Saturday night we dined at the fantastic Strada. You can read about our meal in my Strada review post. Our walk back to the lodge after the meal was the perfect opportunity to admire all of the Christmas lights that are throughout the Village Square area. The brilliant white lights are simply stunning against the dark back drop. We all went to bed on Saturday night tired but full of the spirit of Christmas. Sunday was a beautiful crisp morning. So I took the chance to go out with my camera to capture the beautiful setting that the lodges are set in. 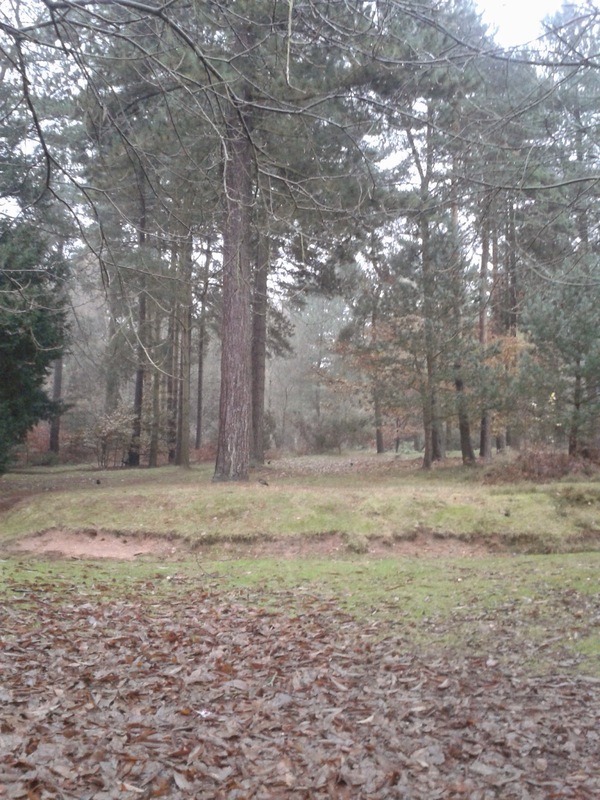 Despite being a large resort the lodges look out onto the natural woodland. Here are a few pictures that I took, however you can see more in my How Does Your Garden Grow? Sherwood Forest post. When I had finished taking pictures we took the children to the Subtropical Swimming Paradise. The children's confidence in the water is growing each time we go and it is moments like that which make a holiday at Center Parcs all that more special. We were able to take time out together as a family, spending quality time together. In the evening the hubby and I escaped for a twilight spa at Aqua Sana. This gave us "our" quality time together relaxing in the tranquillity that the spa offers. On Monday, unfortunately, it was time to go home. However just because you need to be out of the lodge at 10am, that does not mean you have to leave then! We made the most of the extra time that we had and spent the morning cycling around and had lunch at the Pancake House. 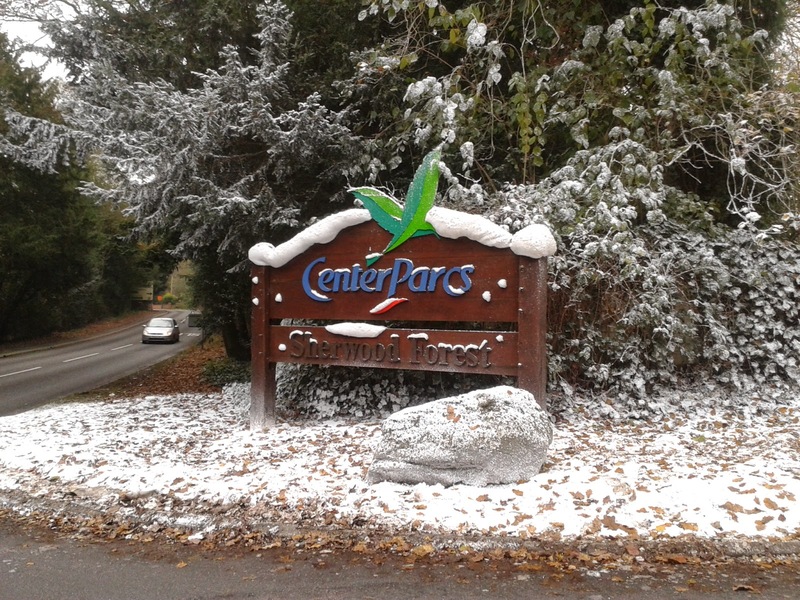 With heavy hearts we said goodbye to Center Parcs but are looking forward to returning for a pre New Years Eve break. We really have caught the Center Parcs bug, once you have been, you will return again and again. We have even booked to visit the Whinfell resort next year and will definitely be returning to Sherwood Forest during the summer. The beauty of visiting Center Parcs for a holiday is that you can park your car in the car park and leave it for the duration of your stay. Everything that you need is available on site. If you have never been and are considering it I would say go for it! You will have an amazing time just as we did! 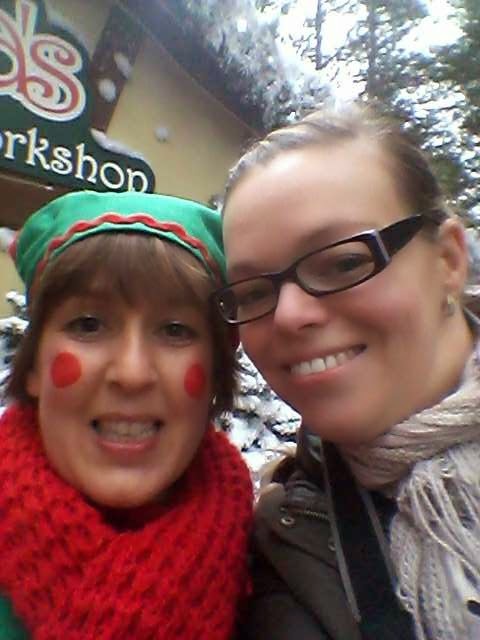 Thank you Center Parcs Sherwood Forest for an amazing weekend that we will never forget. 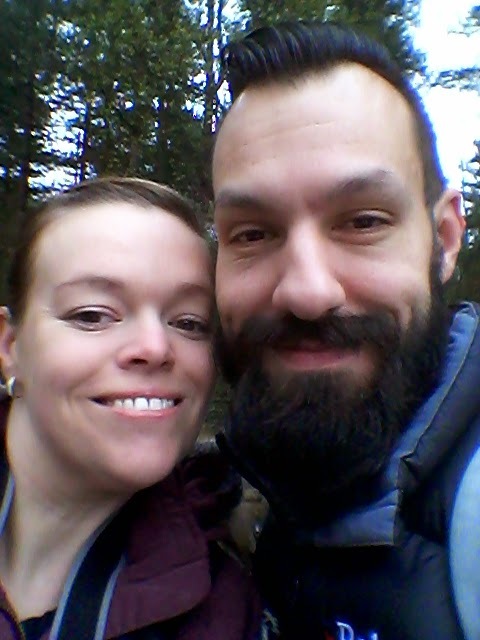 Disclosure: We received the long weekend break as I am part of the Center Parcs Family Bloggers Club. No cash payment was received. All views and opinions are my own and 100% honest.